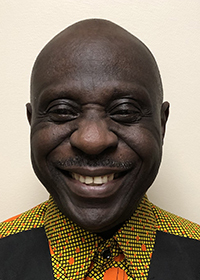 We are so excited to announce that our very own Joseph Obuobisa, Director of Housekeeping and Laundry at Crown Pointe Care Center, has been chosen as the Ohio Health Care Association (OHCA) Hero of Long-Term Care for March 2019! Joseph is indeed an inspiration in the facility and the community. We are honored to have him on our team at Crown Pointe. He is incredibly deserving of this award and recognition. Crown Pointe Care Center is a 90-bed facility located within the Upper Arlington, Dublin, Hilliard, and Worthington areas. Crown Pointe offers 24/7 skilled nursing care, physical therapy, occupational therapy, speech therapy, IV therapy, memory care, and hospice care. Our team honors and respects the wants and needs of our residents. From the admissions process to the discharge, our staff is committed to the satisfaction of our residents, family members and responsible parties. We are so thankful for our incredible team and how they have created "A Culture of Care" for our residents and families. As part of the Foundations Health Solutions family, we prioritize our residents, families, and their care. Founded by Brian Colleran, Foundations Health Solutions is Ohio’s premier long-term care company. Formerly doing business as Provider Services, our team of experts has more than 15 years of experience successfully supporting nursing homes throughout Ohio.